Hello everyone! 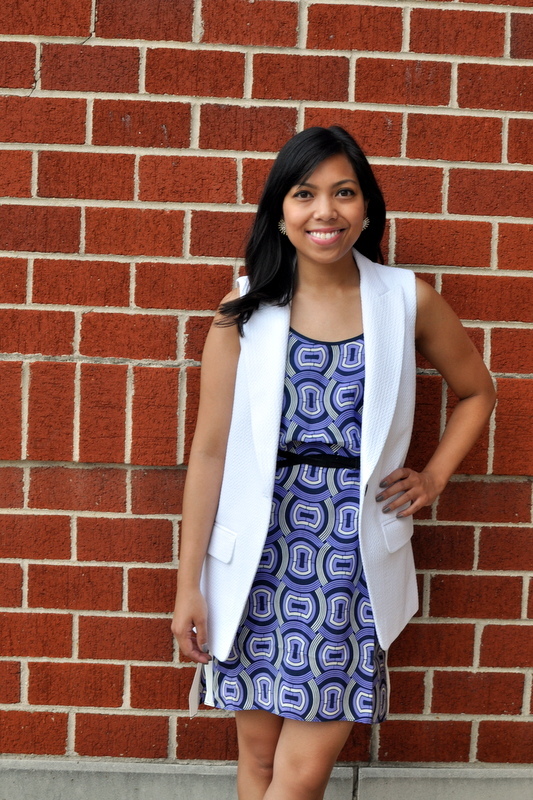 I'm Erica from the style blog Simply Epalf and I'm guest blogging on The Right Shoes Blog today. Fall weather is slowly taking over DC, but we still do get our occasional 90 degree days. I snagged this dress from Club Monaco on super sale and think it's a perfect summer-to-fall transition dress. I love the print and it's such a great stand alone piece but still looks great if paired with a layering piece. I am a huge fan of this look - the white vest over the blue dress is just beautiful!